I like freebies – who does not? 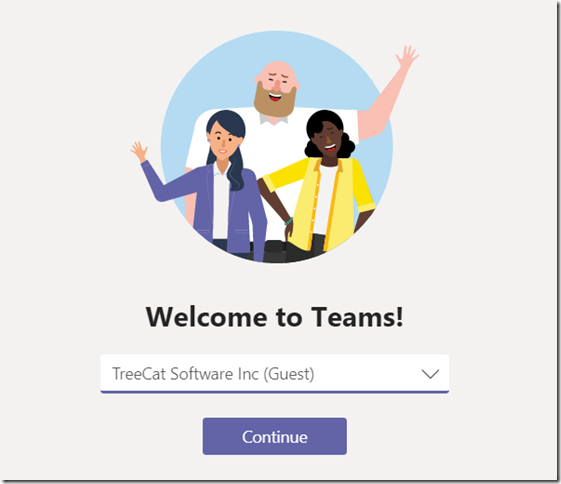 So, now that Microsoft Teams are free, I figured I just have to have them. I mean, I did not really know much about teams – have not been using them where I work, and, while they were not free, did not feel quite compelled to give them a try. So, just in case you happened to have the same kind of messed up setup that I do, here is how it all worked out. To start with, I have a personal account that I normally use for everything Microsoft-related. This is what I use for my Azure portal/subscriptions, this is what I use for the community forums, etc. Sure enough, that’s what I used to set up teams. This part did work out painlessly, it was all up and running in minutes. If I were to use teams, I would have to be able to invite guests – people not associated with my office/azure subscriptions. Would it be possible? They can’t just login to multiple team “tenants” at the same time, at least not using the desktop application. Keeping in mind that some of the features of the desktop app (screen sharing, for example) are not available in the web version, this might present a bit of an issue for guests if they are, already, participating in other teams. Will have to think about it.. Might not be a big issue, but it’s something to keep in mind. They were supposed to show up among the applications.. But, apparently, they were not there. 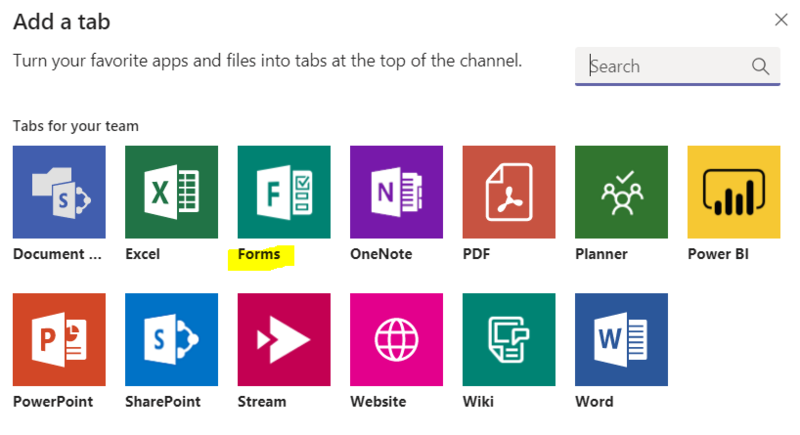 After a bit of digging I realized that Forms would not be available under my personal account since they are only included in the commercial Office 365 plans (business or enterprise). That was kind of an interesting problem.. Remember this whole setup did not even assume I’d have a work account? I then used this new “work account” to get a trial of Office 365 for Business Premium. This game me Microsoft Forms. Actually, I was hoping it would work if I, then, assigned a license to my personal account.. And I was able to assign a license. But, apparently, Forms do need a “work account”, so I could not use that license. Please contact your administrator for access, or switch to an authorized account. At which point I pretty much gave up, posted a question to the support forums, and left.. Only to come back a few hours later and try it again. It was working – not under my personal account, only under my “work” account. 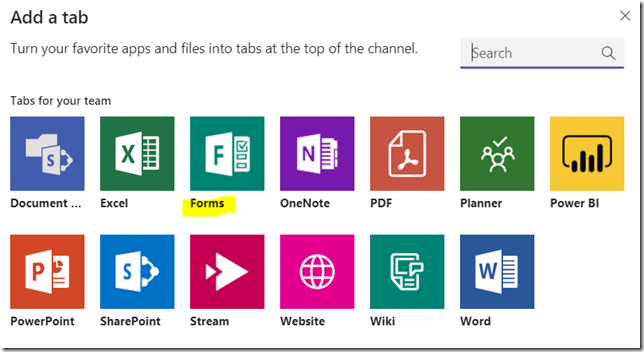 But I was, finally, able to login to Microsoft Forms and to see them in Teams when using the work account. BTW, if you are wondering about that support article above.. I did find CollabDBService in Azure when I checked it this time around. Lesson learned – it may take some time to get everything provisioned. Either way, the “trial” is to be continued..
PS. A few more hours into it, and, it seems, free teams might be somewhat different from non-free teams. For example, when using “free teams”, we can manage organization right from the Teams client (at least from the desktop app). Well, if it’s a personal account we can’t do it the other way.. 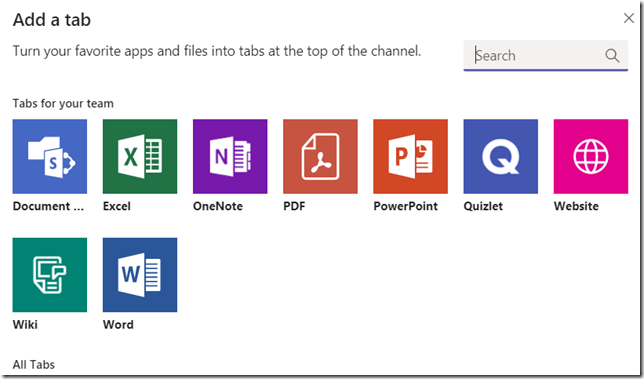 Which is, when using a “full version”, those settings are not even available through the client – we have to use office admin portal and/or teams admin portal. Also, if you look at the plans (again, here is the link: https://products.office.com/en-us/microsoft-teams/free ), you’ll see that some features are not available in the free version.